Meet Yvette, our BreakUpEasy Heartbreaker for the month of July! In this episode of "Ask a Heartbreaker", we ask "Ms. Yvette" how she feels about Internet Dating. 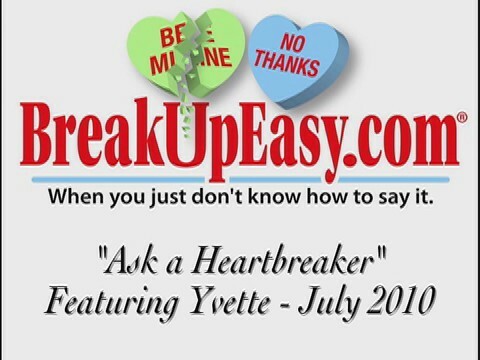 Yvette is one of many Heartbreakers to come to BreakUpEasy.com. On the 15th or each month, expect a new Heartbreaker, and another story! If you got an opinion on Online Dating tell us!